The sound industry was established after no less than a curious chain of events. Back in 1919 three German inventors, Josef Engl, Joseph Massole, and Hans Vogt, patented the tri-ergon process. A process capable of transforming audio waves into electricity. It was initially used to imprint those waves into films strips that, when played back, a light would shine through the audio strip, converting the light back into electricity and then into sound. The real issue in all this, however, was the amplification of the sound. which would be tackled by an American inventor who played a pivotal role in the development of radio broadcast, Dr. Lee de Forest. In 1906, de Forest invented and subsequently patented a device called the audion tube, —an electronic device capable of taking a small signal and amplifying it. The audion tube was a key piece of technology for radio broadcast and long-distance telephones. In 1919, de Forest’s started to pay special attention to motion pictures. He realized his audion tube could help films attain a much better degree of amplification. Three years later, specifically in 1922, de Forest took a gamble and designed his own system. He then opened up the ‘De Forest Phonofilm Company’ to produce a series of short sound films in New York City. The impact of his technology was well received, and by the middle of 1924, 34 theaters in the American East Coast had been wired for his sound system. The fact that a considerable amount of theatres in the East Coast had acquired De Forest system didn’t pick the interest of Hollywood. He had indeed offered the technology to industry leaders like Carl Laemmle of Universal Pictures and Adolf Zukor of Paramount PIctures; however, they initially saw no reason to complicate the solid and profitable film business by adding other features as frivolous as sound. But one studio took a gamble: Warner Brothers. Vitaphone was a sound-on-disk technology created and patented by Western Electric and Bell Telephone Labs they used a series of 33 and ⅓ rpm disks. When company officials attempted to get Hollywood’s attention in 1925, they faced the same attitude of disinterest that de Forest had, except for one slightly minor studio: Warner Brothers Pictures. In April of 1926 Warner Brothers. decided to establish the Vitaphone Corporation with the financial aid of Goldman Sachs, leasing the disk technology from Western Electric for the sum of US $800,000. In the beginning, they wanted to sub-lease it to other studios in hopes of expanding the business. The studio, Warner Brothers. never imagined this technology as a tool to produce and create talking pictures. Instead, they saw it as a tool synchronize musical scores for their own films. In order to showcase their new acquisition and the feature they had managed to add to their films, Warner Brothers launched a massive US $3,000,000 premiere in the Warner’s Theatre in New York City on August 6, 1926. The feature film of this premiere was ‘Don Juan’. An amazing musical score performed by the New York Philharmonic accompanied the film, and the whole project was an outstanding success; some critics even went on to praise it as the eighth wonder of the world, which ultimately led the studio to project the film in several American major cities. However, and despite the tremendous success, industry moguls weren’t too sure about spending money on developing the sound for the film industry. The entire economic structure of the film industry would necessarily have to be altered in order for it to adopt sound —new sound studios would have to be built, new expensive recording equipment would have to be installed, theatres would have to be wired for sound, and a standard sound system process would have to be defined. Additionally, foreign sales would suffer a drastic drop. At that time, silent films were easily sold overseas. Dialogues, however, was a different story. Dubbing a foreign language was still conceived as a project that would take place in the near future. If studios were to adopt sound, it would also affect musicians who found employment in the movie theatres, as they would have to be laid off. For all these reasons Hollywood basically hoped that sound would be a simple passing novelty, but five major studios decided to take action. MGM, Paramount, Universal, and Producers Distributing Corporation signed an agreement called The Big Five Agreement. They all agreed to adopt and develop a single sound system if one of the several attempts that were taking place alongside the Vitaphone should come to fruition. Meanwhile, Warner Brothers didn’t halt on their Vitaphone investments. They announced that all of their 1927 pictures would be recorded and produced with a synchronized musical score. Finally, in April 1927, they built the first sound studio in the world. In May, production would begin on a film that would cement sound’s place in cinema: The Jazz Singer. Originally ‘The Jazz Singer’ was supposed to be a silent film with a synchronized Vitaphone musical score, but the protagonist, Al Jolson, improvised some lines halfway into the movie. Lines that were recorded and could be heard by the audience. Warner Brothers. liked it and let them in. The impact of having spoken lines, however, was enormous —it marked the birth of what we know today as the sound for the film industry. When talking about audio sound post-production, we cannot simply forget about automated dialogue replacement, or ADR —the process of re recording dialogue in a studio to replace the dialogue lines that were recorded on set during the production of a film or an audiovisual project. This can be done for a number of different reasons. First, there may have been a technical problem with the location audio, for example, an airplane flew overhead during the best take, or maybe an actor wasn’t really on access with the mic during another take. In other cases, ADR is used to replace an actor’s vocal performance, which is especially done in musicals where a professional singer replaces an actor’s voice. Like when Marni Nixon would supply her singing voice to double over Marilyn Monroe, Audrey Hepburn, Deborah Kerr, and Natalie Wood. Additionally, you may also have to ADR a scene to replace some of the words used in an audiovisual project to make a more television-friendly cut out of it. An example of this is Snakes on a Plane (2006), starring Samuel L. Jackson, where some of his lines were changed altogether, removing all of his swearwords, so that it could fit TV standards. And sometimes ADR is used for creative purposes. Marlon Brando said once that he mumbled his way through his lines in The Godfather (1972) in order to force producers to ADR his scenes, although that process was known as looping at that time. During the ADR sessions, he was able to truly craft his performance based on the context of every scene and every situation. In the world of low-budget and independent filmmaking, ADR is traditionally seen as some sort of boogeyman —something to be avoided at all costs. But it shouldn’t necessarily be. In fact, post-production sound, if carried out with purpose, can actually be a crucial tool for the low-budget filmmaker. At the beginning of the sound era, around the 1930s, there was no technology for recording sound separately from the moving images in a visual film. There was no way of dubbing audio, the sound effects, or even the music. When the studios started to transform into master sounds, the brought in hundreds of radio broadcast and telephone engineers, many whom never had shot a film in their lives. As sound started to become this ‘new thing’, these new engineers started to get more involved in the shooting process, however, their participation altered the stylistic advances gained in silent films in the late 1920s. Selling sound then became a whole new line of business. Given the impossibility for film producers to have soundtracks separately from the moving images, Paramount took over Joinville Studios in France for the specific purpose of taking the same script of a film and then remaking it up to 12 or 13 times in different languages. They would keep the same sets, props, and costumes and then rotate the actors for each different language version of the script; however, it didn’t work out so well, and Paramount gave up on the idea of multi-language films. By 1932, and after having given up on the idea of remaking scripts using different actors in hopes of achieving versions of a film in different languages, Paramount kept the technology of dubbing, just when the technology of post-synchronization was just around the corner. By 1935 the position of supervising dubbing engineer was about the same rank as the film editor. By the late ’30s, most of the audio in a studio film was actually done in the post-production process. This freed up directors from the confines of producing audio, allowing them to focus on the intricate art form that we enjoy today. When dialogue replacement was first introduced, each line had to be re-recorded using a loop of film that would play over and over again, often called looping. Modern technologies use computers to loop a specific section of a film so that actors can deliver the best of their performance. If you talk to most independent filmmakers they would all agree that ADR is, essentially, something evil. And yes, perhaps, if you’re on a tight budget, having one more unexpected expense, especially because of sloppy locations, is, by all means, a bad thing; however, there are several tricks that allow filmmakers to harness, to some extent, the benefits of ADR. Using the same mics, the same mic placement, and recreating the environmental conditions of a scene in their digital audio workstations, enables audio professionals to use partial ADR, which ultimately allows them to achieve a much better take of a particular scene that maybe wasn’t as good as it should have been given a number of aspects the production was not able to control during the filming process. If you recall the movies Tron Legacy and Avatar, they both, aside from having received Oscar nominations, have one name in common: Gwen Whittle. Gwen is perhaps one of the top supervising sound editors working today, which is why a lot can be learned from her work. Gwen also did the sound supervision for both Tomorrowland (starring George Clooney and Hugh Laurie) and Jurassic World (starring Chris Pratt), and although she’s known for overseeing the whole sound editing process, she’s mentioned in several interviews that she’s highly fond of paying special attention to both dialogue editing and ADR sessions, as mentioned in previous articles by Enhanced Media in our blog. Dialogue editing, as mentioned by George Lucas back in 1999 just before Star Wars: Episode 1 hit the theaters, is a crucial part of the whole sound editing landscape, and, apparently, even within this industry, nobody pays enough attention to it. In fact: dialogue editing is the most important part of the process. Dialogue editing, if it’s done really well, is, according to Gwen Whittle, unnoticeable —it’s completely invisible, it should not take you out of the movie, and you should pay no attention to it. Imagine taking all the sound from the set, take by take, just to take a much closer look at the dialogues captured for a specific scene. Of course, not all dialogues recorded on the set sound the same —maybe the take was great, the acting was great, the light was great, but suddenly a truck was pulling over and an airplane happened to fly over the crew. It’s practically impossible to recreate that take as there are many aspects involved: air changes, foreign sounds, etc., and no matter how much you try to remove all those background noises, sometimes you need to resort to the ADR stage. In an ADR session, it all comes down to trying to recreate the same conditions that should apply to that particular scene. Cutting dialogue often poses several challenges to sound editors, and it highly depends a lot on the picture department. A dialogue editor receives all the production from the picture department, everything that was originally shot on set, making sure that each mic has its own track. It’s the responsibility of the picture department to isolate each mic with its own track so dialogue editors can do their magic. On set, the production sound mixer is recording anywhere from one microphone up to eight, usually, sometimes more, but the idea is for each actor to have their own mic and at least one or two booms. All this mix is passed onto the dialogue editing crew, isolating each track, matching the moving images just like the movie is supposed to be. Once the dialogue editing crew has received the tracks, they listen to them and assess which parts can be used and which parts need to be recreated, organizing which tracks will make it to the next stage. Sometimes, since dialogues can be recorded using two different microphones such as the boom and the talent’s personal mic, sound editors can play with both tracks trying to make the most out of it whilst spotting which parts require an additional ADR session. If there’s a noticeable sound, like a beep, behind someone’s voice, a dialogue editor can really get rid of that in case they need to; however, that’s not always the case. ADR sessions are quite familiar with the sound editing process. In films with a smaller budget, the dialogue process gets a bit trickier, since normally all tracks aren’t passed isolated onto the dialogue editing crew, so they need to tackle any hurdle in their tracks. Low budget films normally include more dialogue as they don’t have the resources to either afford fancy sets or include fancy visual and sound effects. Well, according to Gwen Whittle, not many directors are fond of ADR. David Fincher, for example, is. ADR is a tool. A powerful tool. And if you’re not afraid to use it, you can really elevate your film because it takes away the things that are distracting you from what’s going on. Actors and actresses like Meryl Streep love ADR sessions because is another chance to perform what they just did on set. They see ADR as the opportunity go in there and try to put a different color to it, and it’s another way to approach what the picture crew just got on a couple of takes on set. Many things can be fixed, and even alter several lines. You can add a different twist to something. In fact, even by adding a breath to something, you can change the nature of a performance. It’s the opportunity for both the talent and directors to hear what they really want to hear. Collaboration is not foreign when it comes to audio post-production. In fact, it is what gives studios constructive feedback, ideas, solutions and different perspectives to work on altogether, helping all parties involved produce better pieces of work. Audio, sound, and video collaboration happens all the time. When it comes to audio and sound, for instance, it has never been so plausible to write a song with another individual on the other side of the world or to hire a full orchestra or session musicians to record music for the score and original soundtrack purposes. In this post, we address some services and other software that make the whole collaboration workflow much easier, but more importantly, productive. The Audio Hunt is best known for being an online collaboration platform where hundreds of studio owners and audio professionals make their gear available for other colleagues to run their tracks through. How does it work? Imagine you want to run your mix through a specific piece of equipment/software. You will then be required to, first, open a account, find the piece of hardware you want to use, start a chat with the vendor, book the job depending on the fare (fares and fees vary depending on what type of hardware/software you want to use), and, finally, wait for the service to be completed so you can download the files. Not long ago, Avid introduced Cloud Collaboration for Pro Tools in the Pro Tool 12.5 version. This allows Pro Tools users to share parts of projects, or the whole project if necessary, with other Pro Tools users around the globe without even having to close the application. It’s a rather fancy system that seamlessly integrates between different Pro Tools versions. Pro Tools Cloud Collaboration gets rid of the traditional audio post-production collaboration process that involved exporting files out of the application followed by sharing them on different cloud services for other collaborators and editors to receive. Now, the 12.5 and above allows editors to collaborate with other Pro Tools users in a much quicker and simpler way. In case you’re wondering what is Source-Connect, Source-Connect is what replaced the ISDN. Conceived as an industry-standard replacement, Source-Connect comes with a solid set of features for remote audio and sound recording and monitoring, allowing audio and sound professionals to undertake several aspects common in the audio post-production industry such as overdub, ADR and voice-over, regardless of whether the origin of these files took place anywhere in the world, over a decent internet connection integrated to their digital audio workstations. Source-Connect works as an application, and it does not require complex digital audio workstations setups. It allows audio and sound professionals to work directly in the DAW of their preference, which ultimately allows them to harness the full set of features the application comes with. Besides, Source-Connect comes with a built-in Pro Tools support, which is also compatible digital audio workstations that almost exclusively support VST plug-ins, including, but not limited to, Cubase, Nuendo, Pyramix, etc. Listento allows users to move low latency audio files from Digital Audio Workstations (DAW) to browse through the use of plug-ins. Imagine having a client who cannot physically visit your studio to listen and give you their insights on the final mix you’ve developed. By using Listento to play the mix directly from your workstation master track to the client’s browser, you eliminate such complication. Listento seems to be still under development. One of the things the software is working on is the future implementation of a built-in chat to communicate with your client, allowing you to move away from third-party app messengers such as Skype or Google Hangouts to discuss the intricacies of your mix with the other individual. When sharing your files, sign up to your Audiomovers account to both send and receive the live stream. Send your client a link like if you were sharing with them a Google Sheets download link. And in case you’re still wondering whether you should pay one Audiomovers tier of service, the software comes with a one-week free trial. A final word on collaboration: the fourth industrial revolution has come indeed with many pieces of software and hardware that has made possible to collaborate between professionals and studios. It is nonetheless as important to always nurture the collaborative spirit by being willing to work alongside other professionals in a specific workflow. This, of course, demands a more proactive and receptive attitude towards collaboration, otherwise, by not consider other perspectives, the chances of developing and learning something new are lower. Have you ever wondered why your favorite films or TV shows sound so good? Or why TV ads and commercials are sometimes so much louder than other films and TV series? Or why that internet video that you like the sound so bad? In this mini-guide, we want to go through the intricacies commonly associated with the creation of sound, audio, and soundtracks for both video and film. Crafting and mixing audio for film and video is a rather profound issue; covering all the basics would take hundreds of pages, due to the constantly changing nature of this business and the technology involved. This first part covers basic aspects, a bit of background, some terms and terminology, and hopefully, will serve as a clear guide to understanding what mixing audio for video and moving images is about. Way back in the ages of the past century, recording engineers would often face a daunting dichotomy: they often had to make a career choice between either producing music or producing sound and audio for visuals and moving images, such as TV series, Ads, Films, etc. Since the aforementioned career choices were considered specialized assignments, they demanded specialized tools get everything done. The inclusion of computerized digital audio systems in the late 80s made it possible, and definitely much easier, to use the exact same recording tools to produce and edit both music and soundtracks. Perhaps, if you’ve had any experience with audio post-production, tools, and systems such as AVID, NED PostPro and the early pro tools might ring a bell. That era marked the beginning of a new dynamism where terms such as convergence —where the lines of both worlds of audio and video production intertwine— started to become popular. As a result, the vast majority of engineers had to learn to do audio post-production sessions during the day and music sessions at night. Be that as it may, the process has undoubtedly evolved throughout the years, and the modern and contemporary process of audio post-production has changed more than ever before. TV shows can be practically any length, but the vast majority of US TV programs are intended to last between 30 to 60 minutes. Many are produced by highly qualified and experienced TV studios in Los Angeles. As for Reality Shows, although these can be shot and recorded anywhere, they also require a good and experienced audio post-production team to mix both audio and video in a professional fashion. Films vary in their nature. Short films can span just a few minutes, whereas longer films can last several hours. This category includes today’s production for Netflix, HBO, and Amazon, as well as the famous traditional major studios. 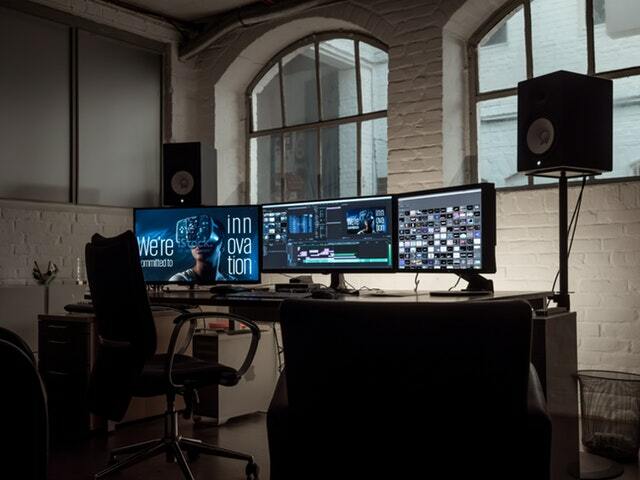 When talking about a film, it is also important to mention the financial aspect: independent filmmakers, known for producing small to no-budget projects still require an important dose of audio post-production. In fact, many sound engineers are fond of taking on these projects as it serves as the perfect opportunity to get some training prior to taking the big leap. Commercials include several types of visual projects. The term “commercials” often refers to TV commercials, infomercials, ads, promos, political ads, etc. The nature of the aforementioned types of commercials is basically known for its rather short format —today, it is possible to come across commercials ranging from 5 to 60 seconds in length. There are of course much longer commercials; however, it is rather expensive pretending to buy airtime for something longer than sixty seconds. Video games are extremely fun. And crafting audio for video games is even funnier. The vast majority of top-quality games, also known as AAA games, have behind a dedicated audio post-production team responsible for creating and capturing the sounds that will be included in the game. This, of course, is absolutely unique to every single game, and certainly demands a daunting amount of work, requiring hundreds of audio files, as the game will demand soundtracks in different languages, which ultimately increases the number of files the audio team will need to manage. The process through which a piece of audio work completes initiation to completion is known as a workflow. And although we will get into more detail in a subsequent post, a traditional audio workflow is comprised of the following stages: pre-production, production, video editing, data import, spotting, dialogue, ADR, ambiance, sound effects, music, mixing, delivery, summary. Foley artists are pivotal for any audiovisual project once it has been shot and edited, as they’re responsible for taking care of any possible missing sound, and, as described in a previous article, a crucial step in the audio post-production process is also what foley artists can do: perform and create sound effects to match the moving images being projected on the screen. Common sound effects we always hear in movies for example footsteps, chewing, drinking, clothing movement, doors being opened, keys jingling, etc., are created through a set of different recording techniques and materials. Foley is more than simply manually editing sounds. In fact, it not only is more than that, but also more time efficient, and provides audiovisual projects with a much richer character and realism to other sounds in the film. Whenever a foley artist can’t create a sound in the studio, sound designers and sound editors will be always up for the task. People stepping on creaking wood and squeaking floors appear in practically every film you’ve seen. Footsteps on old floors or people walking over an old house porch are perhaps one of the most used scenes in films. Foley artists have at their disposal a sheer array of floors and objects to recreate these sounds. The advantage of using these accessories is that the sound, in this case, the creak or the squeak, can be to some extent controlled. Once Foley artists have developed a proper technique, coming up with these sounds and performing these creaks saves the picture a lot of time, as sound editors won’t need to edit all sounds on Pro Tools. Fire is one of those sounds that also always appears in the vast majority of films. Foley artists often resort to accessories such as cellophane, potato chip bags, and even steel wool. The most common technique for recreating fire sounds is to scrunch up the accessory and then release it; the effect will be, of course, rather subtle, but when recorded with the mic closely a somewhat low-level fire sound will be achieved. 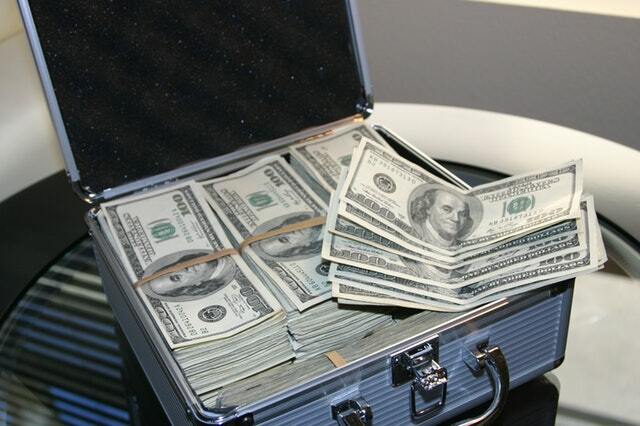 Money and stacks of cash have their own sounds as well. Traditionally, whenever a foley artist has to develop the sound of cash, they often resort to an old deck of poker cards or book pages. In order for foley artists to successfully achieve this sound is to use accessories, in this case, paper sources, with flexible and softer textures. In fact, the vast majority of the time, foley artists add actual bills in the middle of the paper roll, or on the top, or on the bottom, so they fingers actually brush its surface, creating the sound of cash. Galloping horses is one of those sounds whose technique to achieve it has practically remained untouched. Foley artist normally uses coconuts to recreate horse hooves, and it’s probably the most well-known foley accessory thanks to Monty Python and The Holy Grail. Several foley artists suggest stuffing the half coconut with some materials such as fabric in order to get a more realistic sound. Then, hit a compact dirt or whatever surface the horse is running on with the stuffed coconuts. Just like with horses, in order to achieve the sound of birds flapping their wings or taking off, foley artists normally resort to traditional and really orthodox accessories such as a vintage feather duster or gloves. It’s also important to experiment with different materials and perhaps heavier textiles to create a much thicker sound for larger species. An old feather duster can create a terrific effect if the foley artist can find a nice sounding one and hit it against all kinds of surfaces and objects to create different sounds. Ever wondered hoy films record the sound associated with a cigarette inhale? Foley artists often use saran wrap and other light materials to get this sound. By using saran wrap, you can get a similar sound to the fire sound mentioned above; however, it’s more subtle. Nonetheless, it is produced the same way as you would produce the fire sound: compress and then release, but make sure to do it controlled so you don’t overdo it. Make sure to have the mic close enough so you can capture the desired level of subtleness; otherwise, you may obtain a totally different sound. When it comes to unveiling the intricacies of the definition of decibels, we first need to mention one of its aspects: a decibel is a logarithmic unit. Of course, our mind is not traditionally fond of logarithmic units, mostly due to the fact that we’ve become accustomed to deal with other types of units such as distances or weights, which are also present in our lives every day. Nonetheless, the concept of logarithmic units is highly useful, especially when we want to represent a sheer array of different figures or values. If we were to take a value and make it 3, 4 or even 5 times bigger, we would see that the resulting figure would get incredibly huge on a logarithmic scale unlike on the traditional linear scale. Why? The reason behind this evident difference is that, while linear scales are based on multiplication, a logarithmic scale is based on exponentiation. Thus, if we were to increase the number 10 5 times, we would get to the value of 100,000. That indeed is really convenient whenever we want to get the full picture of a set of data ranging from dozens to even millions. Some other units simply work fine on the regular linear scale, as we normally move within a rather small range of figures. That’s why it’s easy for us to measure the distance between cities; but what if we wanted to measure the distance between cities throughout the galaxy? (Of course, assuming we’re such an advanced civilization, that we managed to find life in other planets.) If we were to use a linear scale to represent the difference in distance between Los Angeles and Orion, the difference would be 1200000000000000 km, which is undeniably a really tough figure to look at; however, on a logarithmic scale, the difference would be just 16.8 log km. The logarithmic scale offers a solution for this issue since it seamlessly provides an easy-to-understand figure while covering several order of magnitude. Like the cities used above as an example, some other natural phenomena can be expressed on a logarithmic scale, since they span through several orders of magnitude as well. Think of earthquakes, pH and, of course, sound and loudness. By using a logarithmic scale to measure and express some events, we can get a more accurate version of the models of nature. Once stated that decibels are a logarithmic unit, we have now a way to simply scale and measure different events, ranging from a simple whisper to a rocket take-off. Nevertheless, it’s not that simple. Every time we say something is 70dB, we are not making, in reality, a direct measurement —in fact, we are comparing two different values. Decibels are the ratio between a specific measured value and a reference value. Simply put: decibels are a comparative unit. Stating that something is 30dB is as incomplete as saying that something is 30%. Thus, we need to specify the reference value we’re using, or, in other words, 20dB respect to what? What kind of reference value can we use then? And that’s what brings us to the third and last dimension. Given the fact that the vast majority of people associate decibels with sound, it’s clear that they cannot associate its measurement ratio with the value of any other physical property. These properties can be also associated with audio, like pressure or voltage, or may have little or even nothing to do with audio, like reflectivity. Decibels are found across all industries, not only audio. Take, for example, video, optics or electronics. So, after laying out all this information, what’s a decibel? A decibel is a logarithmically express ration between a pair of physical values. No matter how much Star Wars tries to convince us of the possibility of actually conveying sound’s energy in outer space, reality dictates otherwise. Sound’s energy requires a physical medium to go and travel through. When sound waves disturb such mediums, there are actual measurable pressure alterations as the atoms end up moving back and forth —the louder the sound, the more intense the alteration is. A decibel is based on the logarithmic scale which, of course, works very well when displaying a large range of values. It is also a comparative unit that always uses the ratio between the measured value and the value used as a reference. Additionally, decibels can be used with any physical property aside from sound pressure. They also use reference values so the numbers being managed are more significant. One of today’s most popular video formats is the 360º video. This format, which has been used by a plethora of influencers on YouTube (the platform in which the format gained its popularity), is seldom used outside social media channels, which is why there’s not a lot of information on how to edit sound for what is also called spatialized video. If you happen to have a project of this nature in mind, in this article we’ve shared the details on the intricacies of mixing audio and sound for this kind of video format. When it comes to 360ª video, we’re basically talking about videos that represent the projected images as a single flat still. Thus, it is normal for viewers to perceive ceilings and floors as curved figures. In fact, rounded visuals suggest that 360º videos are a geometrical representation of a cylinder, which causes the seams to be curved; however, these also get flattened when they’re run through a 360º video editor software. So, under these circumstances, how do you even start outlining a plan to properly add audio to such complicated format? To being with, just like any other video format, a 360º video can also be split into different quadrants. Think of quadrants as small parts of the whole sequence, and while it may look that sometimes there are duplicated quadrants, in fact, it’s just a visual representation of one quadrant split in two different, but equally long, parts. If you were to print the whole sequence as a linear chain of events, you would be able to fold the impression into a cylinder shape and see how each quadrant connects with each other—as it’s supposed to be. Having said that, approach each quadrant as a mini video. If you could separate each quadrant and add audio quadrant by quadrant, a spatialization software could also take it from that point on. Now that you’ve split the video into different quadrants, you can start thinking about the specific audio for each section. For specific audio, you don’t necessarily need anything else aside from a mono stem simply because you just want to pinpoint the sound. Some sound designers start by adjusting their mix template from the traditional 5.1 set of routing down to simply mono for both sound effects and dialogues. 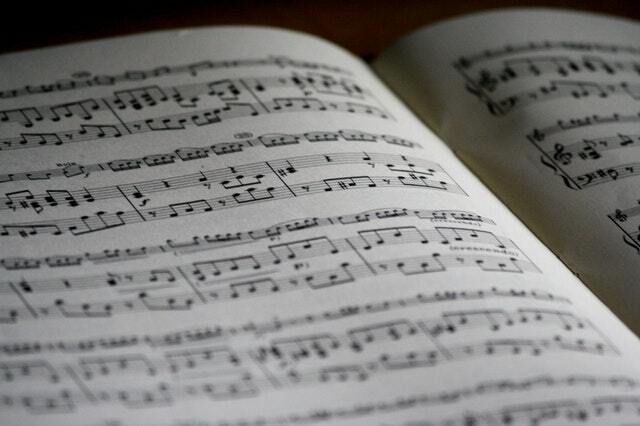 Music and score is an entire different world, and let’s leave it for later. Unlike typical dialogue recording, where a traditional edit would have just one track for each main role or character, the spatialized video focuses on quadrants. This totally goes against a sound editor’s normal workflow. The same approach goes for sound effects, although some of the effects often cross quadrants. If that were the case, the best choice would be to crossfade uniformly across each quadrant in an attempt to match the timing of what’s going on in the action sequences. When creating and editing sound for 360º videos, as a sound editor you often come across several complications, and music is not the exception. Music presents two different challenges; however, the most important thing is to always keep the current spatialization in mind for both music creation and post mix. If musical sounds, especially those created by the people appearing in the projected images —like someone playing an instrument—, cross different quadrants, it’s important to define what sound you want to pinpoint and place the instrument on its own mono stem. Mixing is pretty much like any other mixing you’re probably familiar with. Once you have split the video into quadrants and have been working on its unfolded format, the mixing should aim towards playing a rather balanced short. Since we are talking about a 360º format, some sounds will certainly draw viewer attention to specific parts or quadrants. That suggests that, when leveling each sound, the ones that should be highlighted ought to be played a bit louder in the mix. 360º video format will certainly become more popular for other projects and platforms. Spatialization, for instance, can definitely differ from project to project, and the amount of audio and sounds crossing different quadrants and overlapping other sections of the project will be also different. As for the music, its treatment may entirely alter the way sound editors approach this kind of projects. The most recommendable thing is to plan beforehand and study the project so that you don’t fail in the early stages. Bear in mind that mixing for spatialized audio, or 360º video, requires way more tracks than a traditional project, and sometimes, if the video requires splitting dialogue, different musical tracks, different sound effects, the mix session will likely be of massive proportions —which is why, if you’re into this format, you’ve got to be sure you have a system powerful enough for the total track count. Is Music Important For Films And Ads? Something several of the most renown advertisements of this decade have in common is that they all involve music, and not simply in the rather worn-off form of a jingle. Think of John Lewis, for example, whose traditional Christmas adverts are as famous for the music they include as the whole storytelling. Vodafone, for instance, also set the Dandy Warhol’s song, Bohemian Like You, for success, as it managed to enter the UK’s top five charts. Since the era of advertising started, one thing was clear: music and TV go hand in hand, but why do musical elements fit so well in ads and other audiovisual projects? Let’s find out. There are plenty of original soundtrack songs that are simply stuck in our minds. They remind us of a certain time, individual or place in our lives. As discussed in other articles, music and musical elements are pivotal for any audiovisual project simply because, in order to process music, we use the same parts of the brain that are also the ones responsible for triggering emotion and memory. Because of the human capability of emotionally associating a piece of music to something either positive or negative (which depends on the context and nature of the sounds), the associated memory tends to equal in strength that exact same emotion. The theory does not elaborate on whether it applies to moments in our everyday life, which it does, but rather on how this phenomenon resonates on songs in film, or music in radio, or ads. As for the type of music that triggers this particular area of the brain, its nature is somewhat special —it’s not just any type of music, though. As shown in this study, a group of Australians reacted to a series of audio clips, and their reactions suggested that different types of music can produce strong, but very different, types of emotional responses. Different types of melodies, key changes, chords, etc., can produce and cause different responses. A string ensemble, for example, when playing sharp and long notes in a major key, were able to cause feelings related to happiness in almost 90% of the people assessed. On the other hand, a dramatic shift from major to minor tonality elicited the opposite feeling in the respondents —sadness and melancholy. An acoustic guitar is highly associated with calm and sophistication, as suggested by almost 83% of the respondents. The aforementioned examples show how important it is for filmmakers and advertisers to have a deep understanding of the emotion they want to convey, but most importantly, the emotion they want to cause in the audience.¡ —and what type of music is more suitable for such a purpose. Although music and musical elements on their own are an unquestionably powerful tool, they acquire a far more authentic effect when they accompany a story within a solid narrative arc. According to a study, and after having analyzed more than 100 ads to identify which ones were more correlated with long-term memory, the fact that music in TV ads, for example, becomes way more memorable when the music drives the action of the moving images being projected. For instance, if the lyrics match what is happening. The visual part is eye-catching enough sometimes; but when melodic music comes in, it sort of creates a hypnotic effect on the audience which triggers the areas of the brain previously addressed. In a wider general sense, music and musical elements can definitely set the tone for a business’s or a brand’s personality, as well as to address a specific type of audience or portion of a specific demography. Adidas or Puma often target younger audiences when it comes to their activewear, for instance. Many filmmakers or advertises often choose existing tracks or songs from renowned artists; however, especially in filmmaking, many directors rely on composers to create an original soundtrack for a film. And it definitely works: Hans Zimmer, John Williams, Howard Shore, Ennio Morricone, James Horner, etc., are known for having created some of Hollywood’s best tracks for films. Who doesn’t remember Jaws for its soundtrack? Or Star Wars? Or Indiana Jones? Or Interstellar? Or the Lord of The Rings? The list goes on and on, but most importantly, the fact that movies serve as the perfect opportunity to craft a compelling and emotionally aggressive soundtrack, confirms the initial thesis that raises the question: is music really important in films and ads? Of course it is, and of course, it will always be. Without music, some parts of the action go missing. There’s simply no way to engage with an audience if an emotive soundtrack is not present. Music helps to tell the story; music is what people remember and what gets stuck in people’s minds. Are Sound Effects Really Necessary? The Golden Age (the 1930s - 1960s), taught us a lot about sound effects. Artists such as Orson Welles and Jack Benny left behind a great compilation of techniques and developments that are even used by today’s sound effects artists in their own productions and works. When it comes to live performances, live and studio recording and even workshops, sound effects artists have at hand a diverse array of manual sound effects, as they seem to be highly fond controlling and playing these over electronic sampler keyboards that come with recordings. 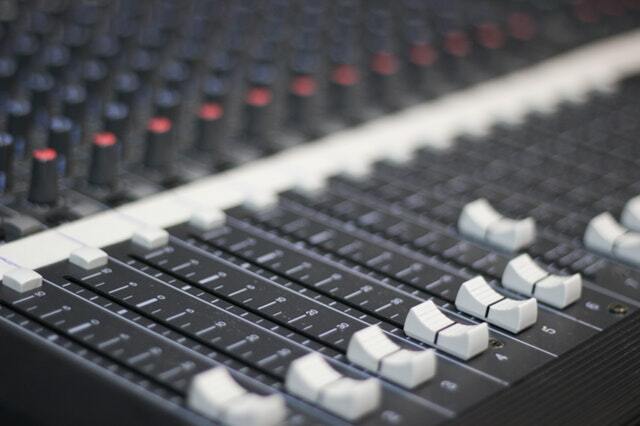 Of course, plenty of sound effects artists also use high-tech electronic samplers and other backing track devices depending on the nature of the project they’re currently working on; however, there seems to be a consensus regarding the unique style of manual sound effects. In the past, manual effects were not the only option —some sounds were easier to produce and to obtain, like cars, planes and nature sounds; but when it comes to sounds product of the manipulation of an object, of course, a lot of that sound is how you manipulate the object in question. That being said, a lot of experimentation is required to get the right technique to produce the desired sound. A lot also falls under the umbrella of what experimentation often means —you need to test microphones and how the effect sounds over them. Always trust your ears if you’re just getting started. Sound effects allow filmmakers and audiovisual project directors to tell a compelling a story. Think of a drama: a well-crafted sound, sound effects included, makes every story better, irrespective of whether it is full action, music, dialogues, etc. Sound effects are important, yes, but in comparison to other formats such as radio, where dialogue contributes practically 80% to the drama, music 10% and sound effects 10%, then they are not that pivotal. But if we’re talking about a sci-fi film, well, that’s another story —in film, sound effects add realism and, unlike radio, where if a sound effect has been misplaced no one will notice, the slightest mistake can cause a disaster. Is sound really as key as video quality when producing visual projects? As mentioned above, poor sound and poor sound effects can ruin any production regardless of its quality. Understanding that sounds, especially high quality sounds in movies and even video games are closely related to also understanding the true nature of a successful filmmaker or game developer. Think of all the times audio and sound, or the lack thereof, have made you rate, either positively or negatively, any project in particular. Additionally, think how both elements, audio, and sound, determines the reactions an audience is able to digest about the moving images or frames they are presented. So, are sound and sound effects important in films? It certainly is. Films are often produced using three different types of sound: human sounds (voices), music and, of course, sound effects. All of them interact with each other throughout the whole project and are crucial for films to provide audiences and viewers with the realistic aspect they expect to, subconsciously, recognize. As mentioned in earlier articles, dialogue and sounds must perfectly sync with the actions being projected —avoiding delays and, of course, being realistic. If a specific sound doesn’t match the moving image on the screen, the realistic effect is gone and the action itself is not believable at all. There are several ways to achieve high-quality, realistic sounds, and that is by using original sound clips rather than uniquely resorting to sound libraries for the desired effect. Another way to provide an audiovisual project with realism is by incorporating the so-called asynchronous sound effects —which are often used as background sounds in films. These sounds, unlike the ones matching moving images, are not directly related to the action occurring in a moving image; they, of course, help a film be as realistic as it can and should be. As for music, if you have ever asked yourself how important the implementation of music in film and audiovisual projects is, simply recall all the iconic film scores you’ve come across within the past —with all certainty, film music is perhaps one of the elements we remember the most about a film, and it’s one of the aspects that determines whether a film stands real chances of being successful or not. Movies like Steven Spielberg’s Jaws, and its iconic two-note melody, still brings back the memories of the big shark approaching its prey; what about George Lucas’s Star Wars? Years after the original trilogy was released, its musical score is still being used in today’s installments and is basically what builds up momentum during promotional affairs, and the list goes on and on. It’s practically impossible to simply overlook the importance of musical elements within today’s filmmaking. Since we specialize in crafting the best sound for any type of audiovisual project, it was just about time for us to share some tips on how to achieve a balanced soundtrack and elaborate a bit more on what we at Enhanced Media do. The topics discussed pertain, of course, to the vast universe of film sound, but we will try to avoid oversimplifications while keeping it digestible, understandable and, why not, enticing. Be that as it may, this post is meant to be illustrative enough for you to develop your own knowledge regardless of whether it’s basic or not —learning something new will always be worth it. Too many people firmly believe that both volume and loudness mean the same thing; however, there’s indeed a crucial difference. When we speak about volume we mean the unit of sound that can be measured in decibels; loudness, however, is the perceived amount of volume. This depends, of course, on several factors such as frequency range and the noise. When it comes to crafting a balanced soundtrack—balanced also meaning homogeneous—both properties are no less than pivotal. Simply put, when it comes to establishing how both terms interact with each other, we could assert that the physical volume must not be exceeded. In the vast majority of video editing programs and most multimedia software, the master volume is usually displayed with a decibels scale. It’s also important to mention that even though zero decibels can be achieved, zero does not mean inaudible, as some folks may think. Instead, it represents the maximum level before the digital clipping. When mixing film sound, not only in the musical score but also in the dialogues, off voices and additional sounds, the master level may be at zero decibels, otherwise, the sound would go into what we call digital overdrive, cutting off the sine waves at the amplitude maxima —the highest and loudest rashes. This phenomenon is known as digital scratching, which, if you happen to work within the film or the audiovisual industry, is certainly known to you. Additionally, digital scratching ought not to be confused with confused with the popular term tape saturation, which is way older as it dates back to the time when magnetic tapes were used. Back then, and even today, tape saturation was rather a natural compression that would sound fuller and even far warmer than what is actually achievable today with software. Traditionally, film score and music is used, and it has already been taken care of in the mixing room for immediate use and, chances are, likewise mastered —of course, that is, the soundtrack as if it was as made in the maximum volume, which allows sound editors to basically integrate it into the film or the audiovisual project. If that were the case, however, the only prerequisite for its integration is that no other plugin for artificial inflation is inserted in the master volume channel and the subsequent individual channels. When it comes to choosing the music for your film, as a producer or as a sound editor you may as well use music from various sources. This means that you will be resorting to different soundtracks from different composers, studios, etc. ; all of these tracks should have a clean level, but normally they happen to be uncommonly and excessively loud —which takes us back at the loudness and the perceived volume. Lamentably today, the vast majority of music producers have taken part in the loudness-war, aiming to pump up your music according to the motto: the louder the better. In the end, you just hear a shallow shriek, let’s be honest. This has its roots in the human mind, as humans and individuals seem to perceive louder musical sounds, in this case, film score or simply music, as better music. This course of action has left music so compressed and so pumped up, that nothing can be done to differentiate it from other lines of sound; however, bear in mind that reality dictates otherwise: the louder, the higher the chances for it to be utterly broken. Today’s music, the vast majority of the stuff we hear on the radio has almost no dynamics —it’s just annoying, to some extent, but definitely loud! When it comes to filmmaking, film score and film music are supposed to support the project, not the other way around. But what if you were working on a purely technical video? Under these conditions, the goal would be to help the music support the storytelling of the images being projected. If the project begins rather quietly, the music should follow that same course of action. If there’s a sudden increase in tension, the music might as well be used to accentuate that change. Thus, you merge both volume and loudness into perfection. Understanding today’s status of what is traditionally referred to as film sound demands certain background. How did we get here? That’s a question all film sound editors ask themselves at some point in their careers. Here we have compiled several important points of reference to understand how sound has evolved throughout the years. A lot falls under the umbrella of film sound —music, movie image, silence, foley, dialogue, etc., are some of the elements that are directly affected by sound as an abstract term. The industry has learned a lot about how music and film score are totally under different circumstances than they were 50 years ago. Of course, this evolution has been determined by the use and constant development of technology, flavored by the ongoing use of social acceptance. If we were to fast forward 100 years in time it would be really challenging to tell where we will be and would be equally hard to tell what composers will have made a name for themselves in the history of the film score to stand out and be dubbed as legends within the industry. Instruments, likewise, have evolved. Think of the Waterphone, for example —that acoustic instrument, highly popular in older films, mostly used in a moving image. Today, there is a plethora of sound effects and sound effects libraries that can imitate that exact same sound, and even improve it through the use of synthesis. 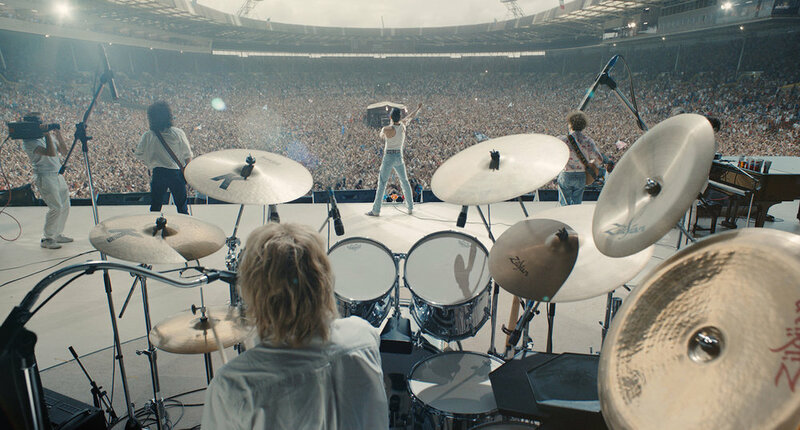 History has taught us that music as a crucial film sound element has evolved a lot, not only in terms of sound effects but also in its own interpretation. Composers such as Hans Zimmer and even Walt Disney’s have completely changed the way we visualize and digest music. Hans Zimmer, for example, is known for having taken part in a lot of successful audiovisual projects; but the majority of his work has been a major game changer within the industry —Hans Zimmer is a true artist simple because how his work blends with the images being projected. Writing music for a project and for moving images is something we see every day, but changing the entire mood of a film and its moving images is a complex thing only a true artist can achieve, especially if it’s done whilst captivating audiences of today’s modern society. Walt Disney’s composers, on the other hand, kind of took a leap of faith when they decided to integrate music and musical sounds into their projects. They thought initially that including music would not be accepted by a modern society and middle-aged people, but the experiment ended up being positive, especially for younger audiences at that time. So, by incorporating music into film, the film industry helped man alter the way films are portrayed these days. Had they not taken the risk of using movies in the films, probably we wouldn’t be hearing of composers and original soundtracks. And although many seem to agree that, at some point, someone would have done exactly the same, chances are Walt Disney managed to integrate music into films simply because of the name he had made for himself in the industry at that point in time, so, chances are, when the time came, no one even questioned him about what he was planning to do; but most importantly, without a big company behind that idea, who would have managed to pull that off? The inclusion of music and musical sounds in films brought along subsequent jobs and positions within the industry such as foley artists, for example, and the recording of realistic sound effects in films and moving images. Once the idea of giving music and sound effects a key role within the whole conception and production of film, other ideas followed, but most importantly, other industries started to develop themselves according to the pace at which filmmaking was developing: software, music instruments, technology, Foley techniques, etc., all of them leaned towards filmmaking, not to mention that such development also allowed filmmakers to explore other genres such as sci-fi, 3D animation, fantasy, etc. It would be fair to assert that the evolution of sound was determined by social changes as well, not only the pace at which technology allowed the industry to develop. Music, as a key element of film sound, will certainly get to new shores —new instruments, new technologies, new composers, new ways of recording and merging music with moving images, and, why not, maybe new genres. And although films are considered essentially a visual experience and a visual medium —that is, more sight and sound—, the fundamental importance of the latter as a part of the storytelling process of any film plays a pivotal role from the beginning till the end. It definitely changed the way filmmakers used to think about the nature of cinema.